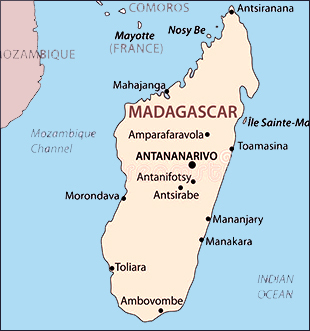 Minority languages served (3): Official Malagasy (Plateau Malagasy), Sakalava, and Tsimihety. Materials produced: Scope and Sequence for Official Malagasy Grades 1-3, Scope and Sequence for Sakalava and Tsimihety for Grade 1, Bloom training, SynPhony analysis and software training, and linguistic input to project. Thesis of Project: This project seeks to provide the Ministry of Education (MEN) with key knowledge, tools, and expertise in order to be capable of sustainably developing and improving over time the core inputs into an effective early grade reading instructional approach. SIL LEAD Overall Contribution to Project: SIL LEAD consultants have conducted a virtual workshop introducing SynPhony, SynPhony analysis of official Malagasy leading to production of Word Lists and Scope and Sequence, on-site SynPhony Training and Bloom Training Workshops, and a report recommending which two Malagasy dialects should be analyzed for a pilot projects. Summary of the Project: SIL LEAD and FHI 360 worked together on the tasks involved in developing teaching and learning materials in the official Malagasy language as well as two other dialects. Under the Education Program for USAID/Madagascar, SIL LEAD contributed its expertise, key knowledge, and tools to provide ongoing capacity building to the Ministry of Education (MEN). The intent of this capacity building is to ensure the MEN can continue to employ these gained tools and knowledge so they can produce their own reading programs for other grade levels and dialects of Malagasy post-program. The current administration achieved a major step forward in early 2017 with the joint adoption of a new Education Sector Plan (2018-2022) by the Ministry of National Education (Ministère de l Éducation Nationale, MEN), which oversees basic education, and two other education ministries that oversee professional training and higher education. The strategy focuses on making education more relevant, improving quality, increasing access and inclusivity, strengthening governance in the education sector, and improving the professionalization of teachers. This strategy acknowledges the importance of strong literacy outcomes in early grades as foundational to all educational investments at higher levels. It also provides for the use of Malagasy (the official dialect and other local dialects) as the medium of instruction in grades 1-3, and for most subjects in grades 4-6 with French being used for more technical subjects in grades 4-6 and as language of instruction for all subjects from grade 7 onward. One key issue that has not yet been explicitly resolved is how to use local dialects and official Malagasy effectively in the classroom, particularly as pertains to teaching reading in the early grades. There is a lack of scientific data to advocate for any particular approach to using one dialect over another (or how to transition between them), and most views on this issue are rooted more in individual experience and opinion than evidence. A defining feature of the new strategy is its ambitious objective to ensure all children are able to access 9 years of basic education by transforming all existing public primary schools (grades 1-5) into basic education schools (grades 1-9), requiring massive hiring and training of teachers across the country as well as significant classroom construction. This strategy is principally financed with GPE funding and World Bank support. Current education sector donor activity is led by UNICEF. The new national education strategy reflects the lessons of the Early Grade Reading Assessment (EGRA) that USAID/Madagascar funded in 2015, which assessed the reading skills of students in grades 2 and 5 in selected regions across the country. The EGRA administered in Madagascar consisted of four subtasks: letter recognition, familiar word reading, non-word reading and comprehension. The assessment showed that grade 2 Malagasy students were, on average, able to correctly identify 35 letters per minute and read 25 correct words per minute. On average, grade 2 students could correctly answer only 24% of the comprehension questions associated with a grade 2 text in Malagasy language. USAID/Madagascar seeks to directly support the Education Sector Plan’s goal to improve education quality by strengthening how reading is taught in early grades, in line with Goal One of the Agency’s Education Strategy.